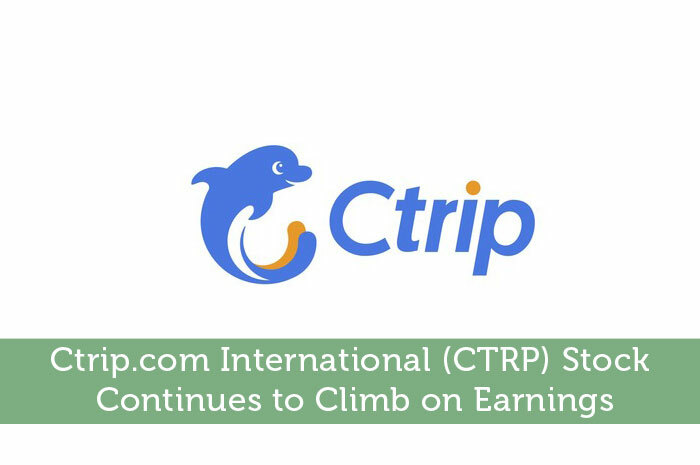 Ctrip.com International recently reported earnings as expected. However, what we saw from earnings was anything but expected, sending the stock soaring. Today, we’ll take a look at the earnings report to see what made investors so happy, talk about what we’ve seen in the market since and discuss what we can expect to see from CTRP moving forward. Top Line Revenue – In terms of top line revenue, CTRP reported that in the quarter, they generated a total of $380 million. Investors were incredibly happy with the year over year growth. In the same quarter last year, CTRP generated $29.53 million, 13 times less than what was reported in the most recent quarter. Earnings Per Share – Earnings per share for the quarter also proved to be a reason to be excited. In the quarter, the Chinese online booking agency reported earnings per share in the amount of $10.71. This number was also quite a bit higher than what we saw last year. In the same quarter last year, the company produced $0.99 EPS, 11 times less than what we saw this quarter. As we’ve come to expect any time we see positive earnings results from a publicly traded company, CTRP grew exponentially in the market. Yesterday, the stock climbed from $95.07 per share to $109.85 per share, a new record high. Based on the earnings release we saw this quarter, I’m expecting to see overwhelmingly positive news moving forward. First and foremost, the fact that CTRP has grown revenue and earnings so much over the course of a single year is incredible. Investors love to see solid earnings and ultimately are investing for growth. So, seeing the growth and taking home the earnings will lead to investor excitement that should help to push the stock up throughout the long run. Also, considering the most recent earnings release, the company is now trading well below an annual PE ratio of 10. That means that even after yesterday’s growth, the stock is trading at a relatively large discount. Ultimately, the best time to take advantage of stocks is when they are undervalued as exponential growth is likely on the way. However, It is important to remember that price movement in the market tends to happen through a series of overreactions. So, we may see declines today. Nonetheless, this is one that is going to climb in the long run. Where do you think CTRP is headed and why? Let us know your opinion in the comments below!